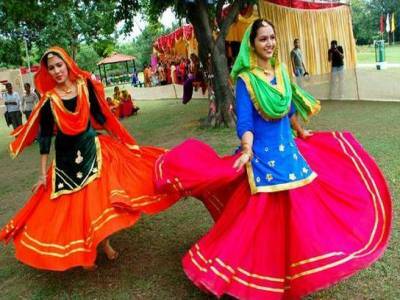 The dances of Punjab are as exuberant as the lifestyle of the people. The charisma of Punjab is very effervescent and it easily diffuses the sense of ease, carefreeness and cheerfulness among the people. The most electrifying dance form of Punjab is Bhangra. It has many sub forms, but among them the one that stands out the most is the Gidda or giddha dance form. 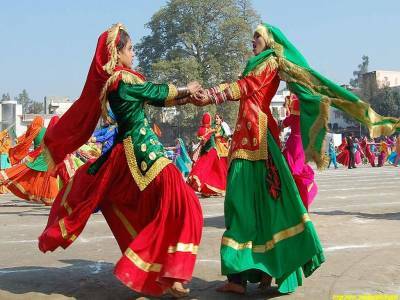 The Giddha dance is a very popular dance style in this part of India and it is practiced all over the Punjab province. When saying Punjab province, we mean to say both the Indian and Pakistani parts. Yes, it is equally famous in both the neighbouring countries. 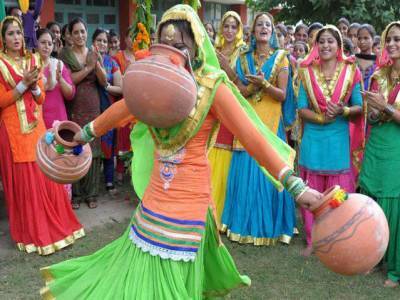 Giddha is a women empowerment dance form. This form of Bhangra is specifically instrumented for the ladies and is very vigorous in performance. 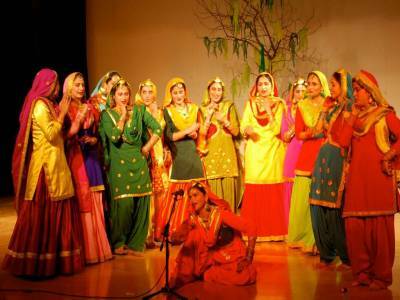 The Giddha is performed on the musicals of various tradition and contemporary folklores. The songs in Bolian verses are the stings of this dance. These songs translate stories of myths, daily life, occasions, love affairs, politics and many more. As the Giddha is generally performed by the women, the conversations between women centric relationship is the cordial base of the vocals. Dhol, tumbi and ghumru are the used musical instruments for Giddha. The wardrobe for this dance is primarily heavily embroidered, salwarkameez and duppattas. The clothes are very sparkly and vibrant. The steps for the Giddha dance are very dynamic. The leg movement for the dance is quite swift and rhythmic. Still the dance Giddha is not a solo performing art. The dance is essentially performed as a part of ritual by the women running in circle and joining hands. Beats of clapping is a very essential part of Giddha. 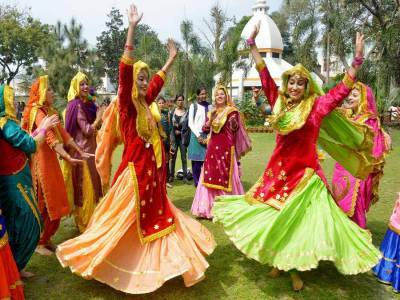 In Punjab and in the whole of India, any women exclusive celebratory incident is incomplete without the performance of the earthly Giddha dance. Get quick answers from travelers who visit to Giddha Folk Dance.